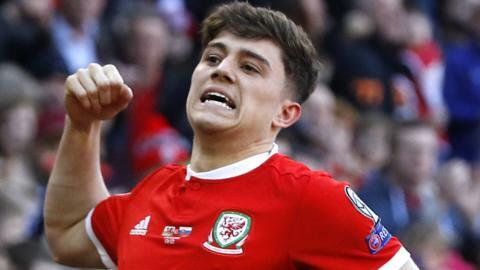 BBC Sport Wales takes a closer look at Wales' Euro 2020 qualifying opponents. Wales will face Croatia, Slovakia, Hungary and Azerbaijan in Group E during their Euro 2020 qualifying campaign. Denmark field a student, a salesman and an internet star for a 3-0 defeat by Slovakia - with senior players unavailable amid a commercial dispute. Gordon Strachan's team are in a better shape, but the recovery is still a soft one and it needs the ballast of a box-office win, writes Tom English.